Guaranteed! Click here for more details. Most people never finish writing their book because they lose focus, feel unsure how to proceed, get stuck or get overwhelmed. We can help you bust through these challenges by providing step-by-step guidance. We will also serve as a sounding board, answer your questions and help refine your ideas. You can choose the amount of coaching you think you need. Sessions will be by phone, and pre-scheduled at a mutually convenient time. 24 hour notice is required to reschedule a call. For more information, click here. The author may obtain a 2nd editorial review after making changes for an additional $50. The evaluator will review the changes that were made based on the recommendations in the initial review. This edit is to correct errors in spelling, punctuation, grammar or capitalization. The editor will also identify basic language usage issues and suggest changes with word choice in cases involving an overused word, or when a different word might better convey the intended meaning.This review entitles the author to a free 2nd review after the author makes the recommended changes. The editor will review changes that were made based on the recommendations in the initial edit. We will take your book and condense it into a 4000 – 4500 word SkillBite. A quote will be provided after review of your book. A minimum charge of $250 will apply. We will review your book in the SkillBites template to make sure it is formatted properly. This service is available for documents that contain no more than 3 graphics, charts or other images. We will take your Word document and format it properly into the SkillBites template. This service is available for documents that contain no more than 10 graphics, charts or other images. We will spend time with you recommending ways you can promote your book before it gets published, to build anticipation for your book launch. We will provide you with up to 3 sample cover graphics. Included are: an initial 15 minute consult, 2 sample graphics, a second 15-minute consult to obtain your feedback, and 1 final graphic if needed. Each additional graphic requested is $45. We will provide a customized front and back cover. Included are: an initial 15-minute consult, 2 custom samples of front cover, 1 for back cover, a second 15-minute consult, and 1 final front and back cover. Each additional requested revision is $45. Back cover consists of text provided by the authorand may includethe author’s photo. We will research your target market, provide a digital copy of your book to members of your target market and/or other experts in the subject matter of your book, and obtain testimonials from people in your target market or other subject matter experts. We cannot guarantee that the testimonial will be favorable. We will research key words being used by people to find information concerning the subject matter of your book and evaluate your book’s title in light of those key words. Then we will provide suggested changes to your title to help potential purchasers more easily find your book on the internet. We will evaluate the description for your book in light of the key words being used by people to find information concerning the subject matter of your book, and provide suggested changes to entice purchasers and help them more easily find your book on the internet. We will include 2 or 3 tips from your book in a SkillBites Sampler, which we provide free to our website visitors to entice them to purchase the books they read about in the samplers. We will arrange for your book to be available for sale on Amazon and Kindle as an eBook and in print. Before your book is ready for print, we will send you a proof for your review. You are responsible for advising us of any errors that need to be corrected. If you desire to make changes in your book that are not the result of our error, there will be an additional fee to make the changes, which we will estimate for you before proceeding. We will arrange for your eBook to be widely distributed for sale on all the major online retailers. We will provide the specified number of paperback copies of your book, depending on the package you have purchased. In addition, you may purchase print copies of your book at a discount. Books under 100 pages consisting primarily of text (with fewer than 5 charts, graphs, tables or images) can be purchased at $5.00/book for black and white,including tax and standard shipping within the continental US; books under 100 pages with more than 5 graphics, tables, charts or other images can be purchased at $6.50/book for black and white including tax and standard shipping within the continental US. Minimum order of 10 copies. For color copies, we will provide a quote on request. Expedited shipping is available for an additional $2/book. We will produce a professional recording of your eBook for sale as an mp3 file on SkillBites, as well as through other channels such as iTunes and Amazon. 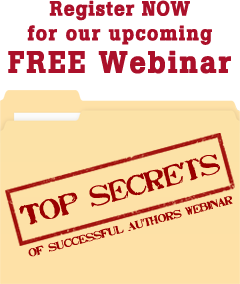 We will spend 1 hour with you helping you develop a marketing plan for promoting your book. In the additional hours you receive in your package or which you purchase, we will help you implement your plan, such as by developing blog posts, tweets and Facebook posts about your book. For the Gold and Platinum package, the 1-hour consultation and first hour of service will be provided during the month after your eBook is published. The additional hours will be spread over the 5 months following that initial month. We will work with you to determine ways you can leverage your book to help grow your business. How do you get the word out about your book? One of the best ways to build buzz is to do a video trailer – just like the movies do – months before your book is launched. We will record an interview of you and create a 30 second video teaser and a 1 to 2 minute video trailer. You can choose the style for the video. We will upload the video to YouTube and will provide you with the link to use on your website or in social media. For more information and to view samples, click here.